The first new concept is the one of pixelated filters, i.e. Bayer-type filters with pixel size matching the one of a CCD or CMOS cameras. Such a filter will allow the fabrication of compact multispectral cameras that will find various applications especially for onboard applications (e.g. space). The goal of this work is to generalize the concept of color camera to arbitrary spectral functions. This will be achieved by replacing the absorbing dyes used to select the RGB components with optical interference filters having spectral properties meeting the requirements of the targeted applications. 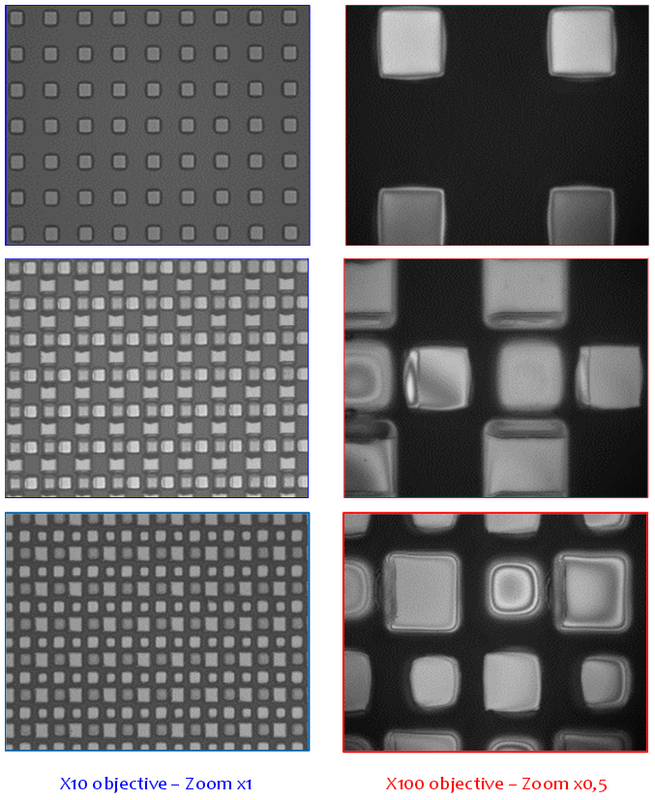 Within this work, a first prototype composed with 2×2 micropixels massively reproduced over 100×100 macropixels has been demonstrated. Each micropixel is 30×30 µm2 with an experimental transmission close to the theoretical one. 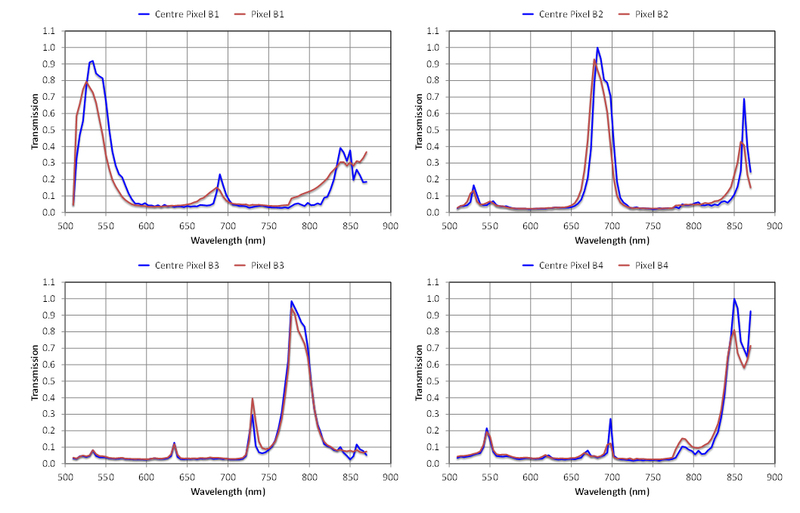 Moreover, a dedicated system (SPHERE) has been developed in order to map the local spectral properties of these pixelated filters with a spatial resolution of 2 µm and a spectral resolution of 0.5 nm with a beam collimated at F/10.